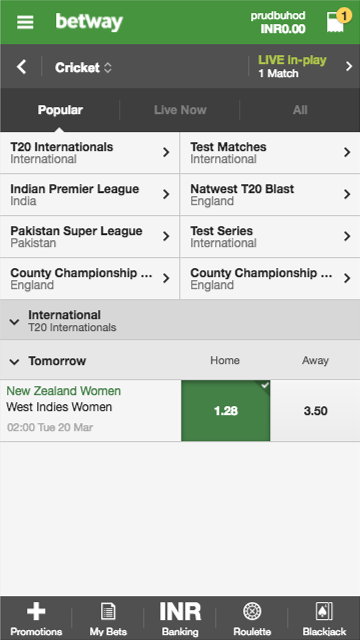 You've never bet on cricket online before, huh? And you're not sure what to do or where to start? Have no fear, we’re here to help you out. 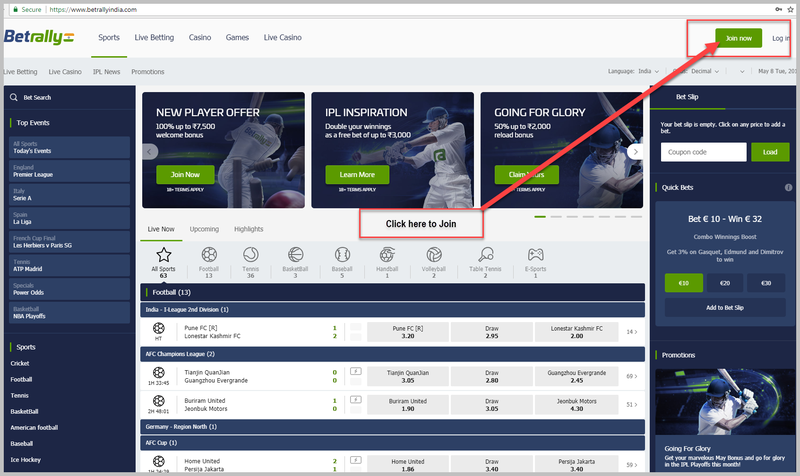 We’re going to hold your hand and guide you through the steps of creating a betting account, an ewallet and how to place your first cricket bet. 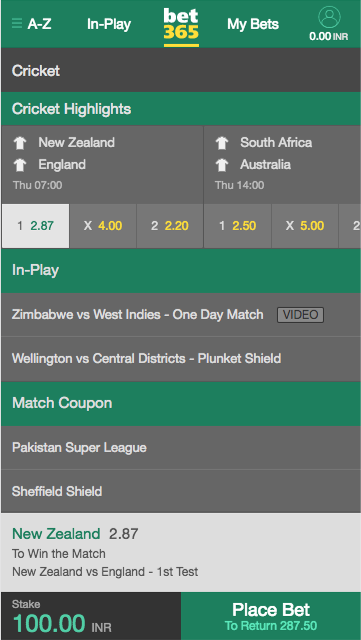 Teaching you how to bet on cricket is very easy as you will soon learn. You just need to make a couple of choices along the way and then we will show you how to do the rest. There are plenty of online betting sites to choose from, but we are going to keep it simple here. 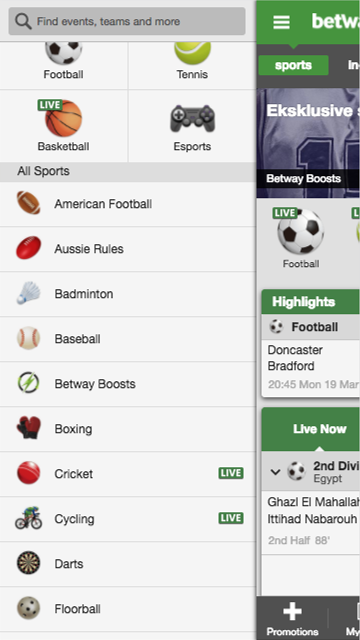 All of these are excellent options, but if you are unsure which to choose then go with Betway. You can always try another site if you want to later. 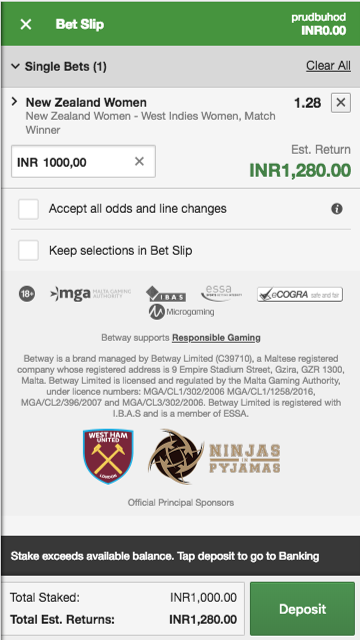 We like Betway because they're a trustworthy site with a user-friendly interface, live betting and other gaming options like poker and casino games. 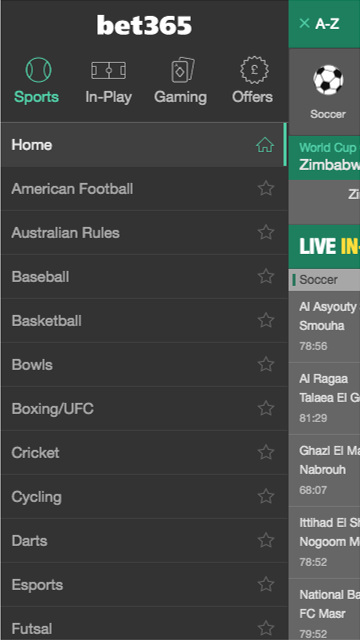 They also have mobile betting. That's right, you can place bets from your tablet or phone. 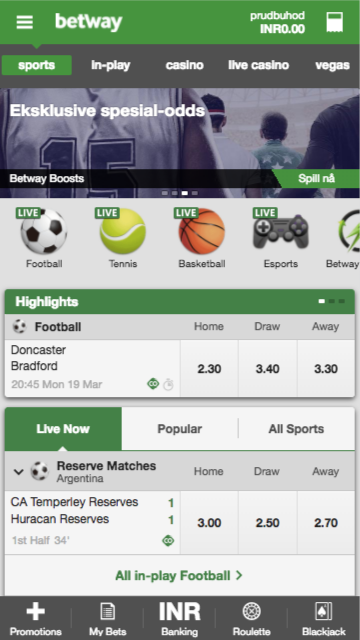 No app needed - you just log in and place bets from your browser (we recommend Chrome). 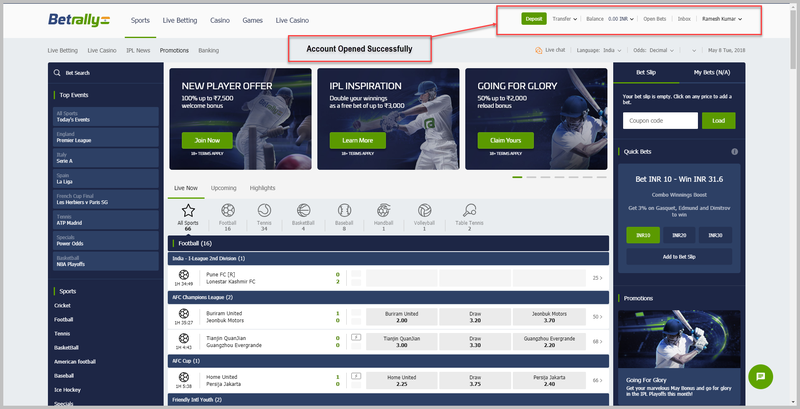 The bottom line is that with an account at Betway beginners won't need an account anywhere else until they're ready to take their betting (and profits) to the next level. Click the big green button that says 'Register Now'. You will then be taken to their homepage for mobile (or straight to the signup screen if you are on desktop). Click the ‘Register Now’ button at the bottom of the screen again. Then you are taken to their signup form. Here you simply fill in your personal details as per the document. 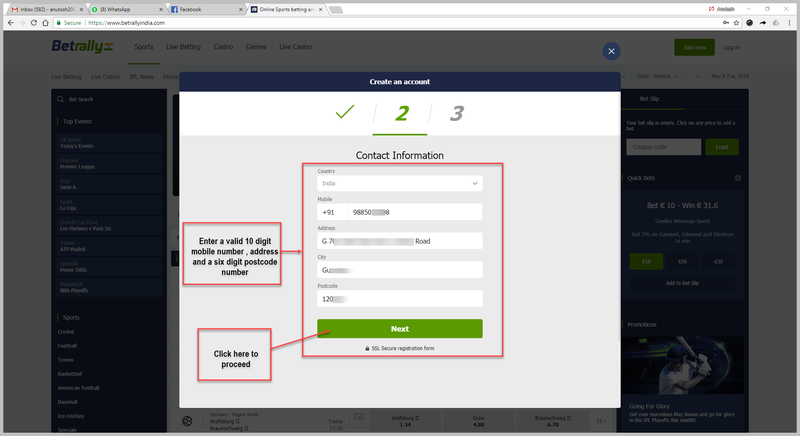 Then you will be taken to a screen which shows will confirm that your account has been created and your username and password. Here, you will be required to enter some basic information, including your chosen username, email address and a password. Once you have done so, click 'Next Step'. 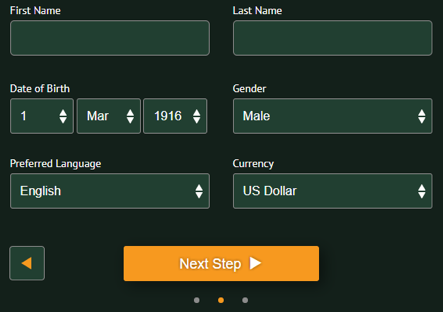 Next, enter your First Name, Last Name and Date of Birth, and then select your Gender, Preferred Language and Currency. Again, once you have done so, click 'Next Step'. The final step in the registration process will require you to enter the Country from which you’ll be playing, your Mobile Number, Address Line 1 and 2, City, State/Region and Postcode. Be sure to check the box confirming that you agree to the Terms and Conditions – best read them first, because you won’t be able to create an account without doing so. Then, click 'Register'. Congratulations, you have now successfully registered an account with Spin Palace Sports! When you are done, click on the “Next” button. The next will have you filling in your: Address, Phone number and Postcode. When you are done, click on the “Next” button. 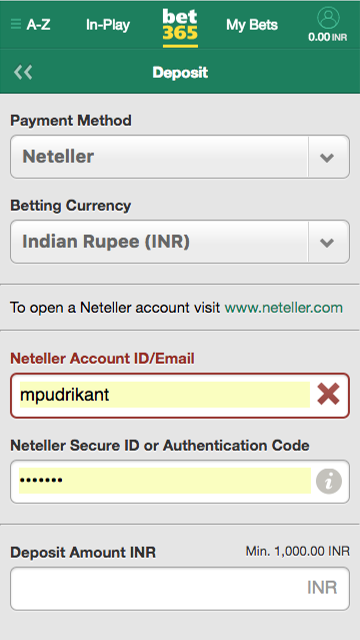 The last step will have you fill in your: Username, Password, Preferred Currency (Betrally India offers India Rupees! ), NO need to fill in "Referrer code" and a 4 digit security code. Click on "Create my account". 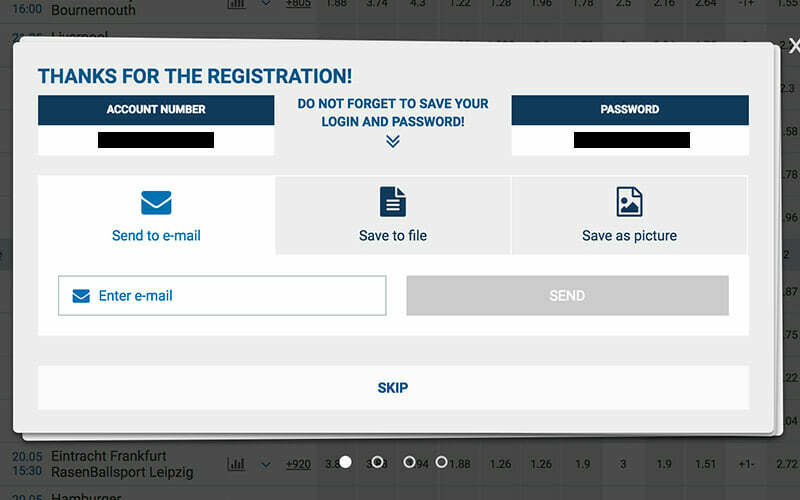 Congratulations you are now registered at Betrally India - one of the top sports betting sites for Indian players! Click the join now link (it’s at the top-right of their site). A window will pop up. On this window you’ll need to enter where you live, your name, date of birth, address, email and phone number. You’ll need to create a username, password and give them a 4 digit security number. Now you’ll want to confirm your account. To do that just open the email and click the link they sent you. Click the big green button at the top of the site that says ‘Register Now’. These different methods simply determine how you want to create your account. 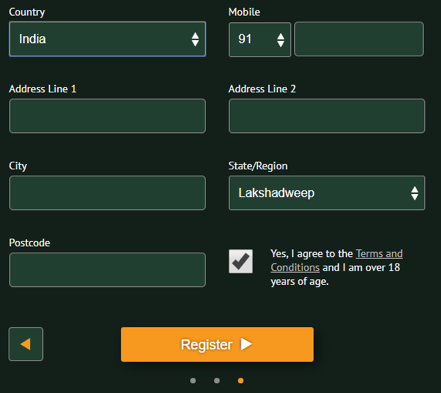 One-click is the fastest where you only choose your country and what currency you wish to use, then click register. 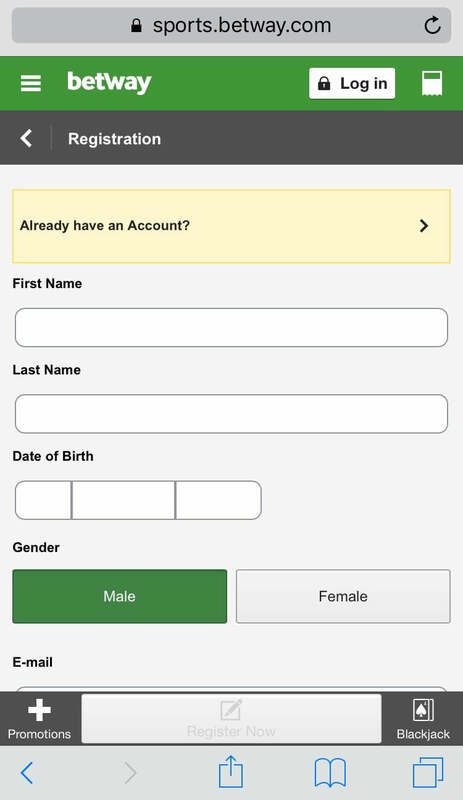 After you have registered, a new information box will open on the same page where you will receive an account number and a password so you can login immediately. And that is it! 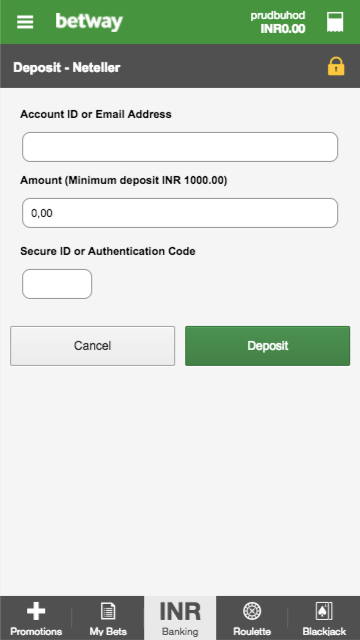 You also get the option to go to deposit funds right away to your account. Simply click the green ‘Deposit Now’ button on the next box and choose among over 170 different banking options! Click the join now link (two big green buttons). You will be taken to a new page and their signup form. The signup form is split up into three parts: the first will have you enter your name, email, birthdate and gender. The next one requires a username, password and security question. The final page requires your postal code, city, address and phone number, as well as the currency you want to use. Now they will send a confirmation link to your email. To do that just open the email and click the link they sent you to activate your betting account. Congrats - you're all done. 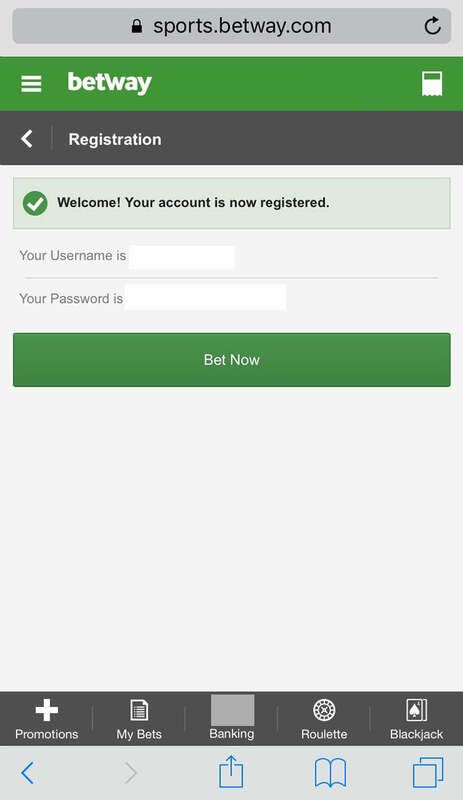 Now you have yourself a brand new online betting account. The next step is to put money in your betting account so that you can start betting. Depending on where you are from, this is easier said than done. If you are from India for example, there are limited options available. You need to deposit funds before you can place bets, it is not possible to bet on credit with online betting sites. The simplest way to deposit is to use debit or credit cards, but they are a bit hit and miss if they even work, but I would suggest just trying them out to see if they work. The worst that could happen is that they are declined. The alternative to card payments is to use either ewallets or pre-paid cards. Both of these options are a bit harder to setup, but once you have them up and running, they are way more reliable. 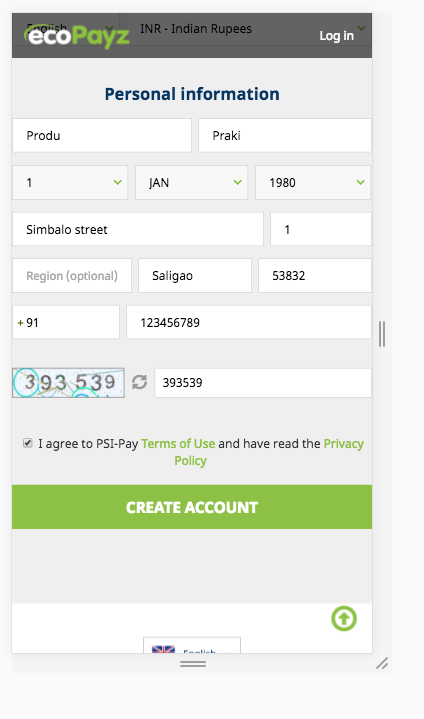 Ewallets work just like a regular online bank: you get an account with an account number. You can deposit funds to the account and withdraw from it, as well as use it to pay for services, like depositing to betting sites. When you buy a pre-paid card, you essentially buy a credit card that has a fixed amount of money in it that you can use to pay just like with a regular card. 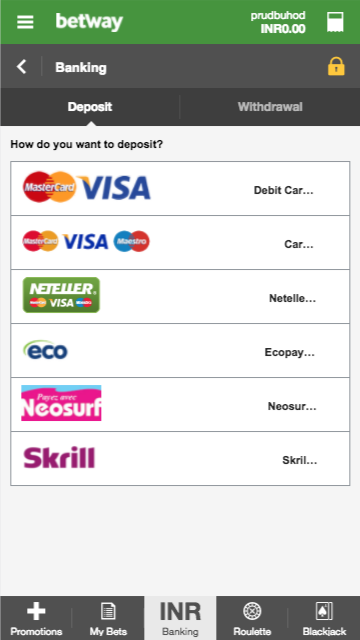 A bit weird, but helpful when you need to deposit to online betting sites. Next you’ll want to click the sign up link. This will be a 3-step process that they hold your hand through. You’ll first fill out your email address, country, state and currency you want to use. The next form is a bit longer. Here you’ll need to fill out your name, social security number, address, zip code, phone number and create a password. Then choose and answer 3 security questions. The 3rd step is confirmation. You account has been created and you’ll be told your ‘credentials’ – this includes your account and secure ID.  You will be taken to their signup form once you visit the above link. 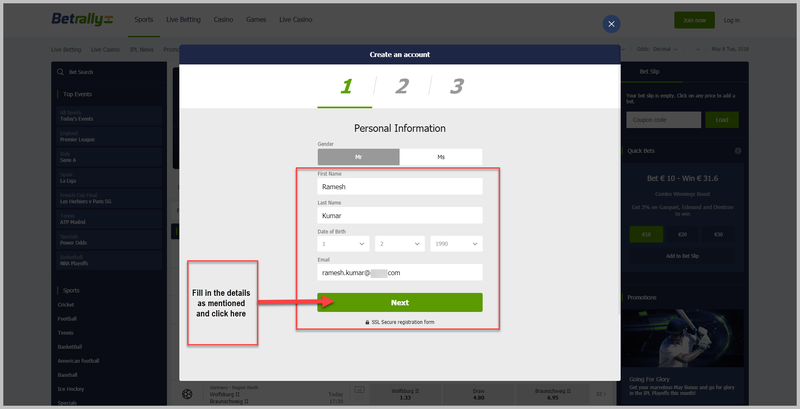 Here you simply fill out your account and personal details. The second signup form will have you give your credentials like email, birthdate, password and a captcha. To start, go to the ecoPayz website. Fill in your personal information. Scroll down, and continue to the next step. Continue by filling in the rest of the required fields. Congratulations! 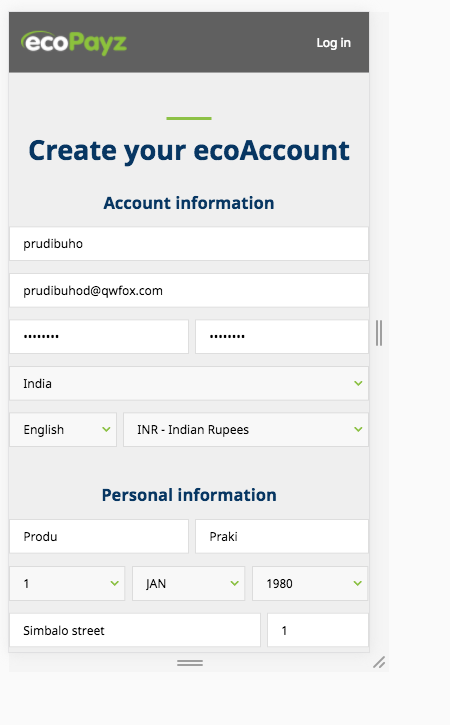 You've successfully signed up at ecoPayz. 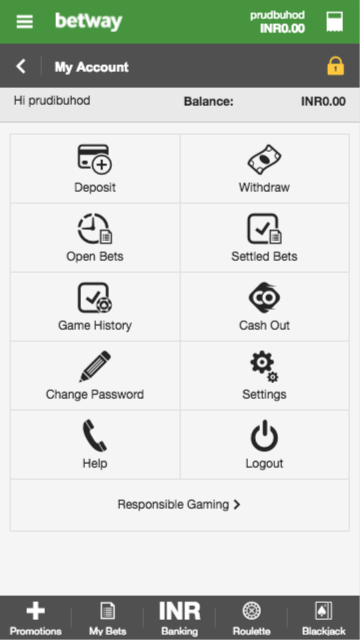 Now that you have a deposit option set up, you can use that account to fund your betting account. First of all, you’ll need to be logged into your Betway account. On the top right of the screen, click on your username. Click on your preferred deposit method. 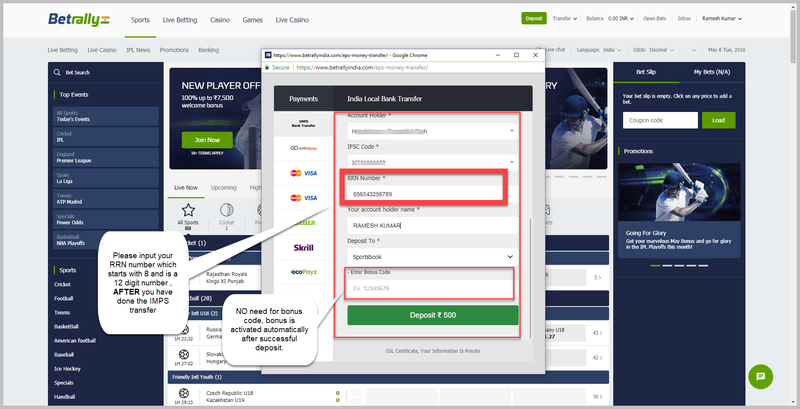 In this guide we'll use Neteller. 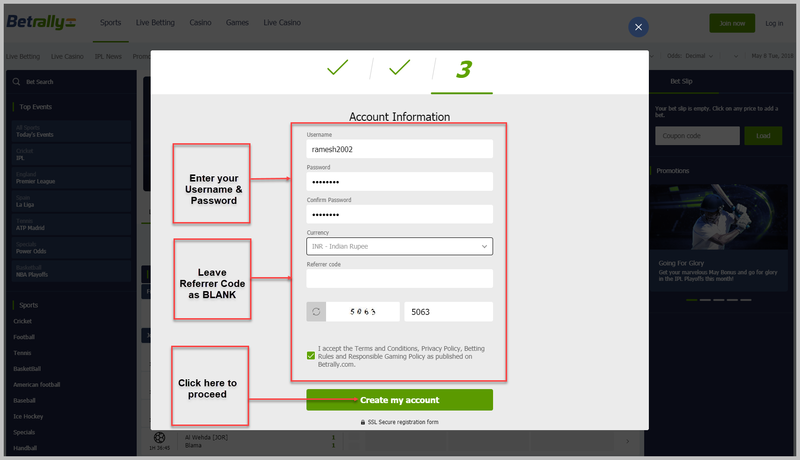 Enter your Neteller Account ID, the amount you want to deposit, and your Neteller Secure ID. To finish click 'Deposit'. Congratulations, you've successfully deposited money to Betway using Neteller. 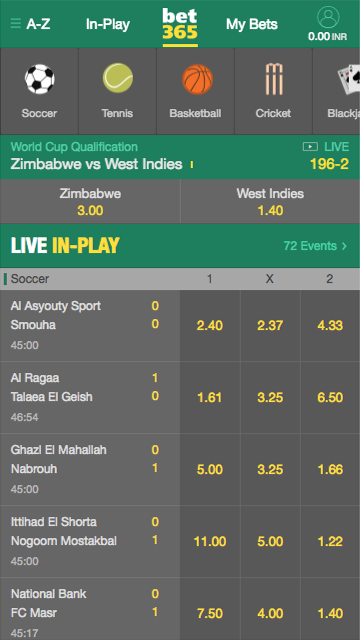 First of all, you’ll need to be logged into your Bet365 account. On the top right of the screen, click on your username. Then 'Deposit'. Pick your preferred banking method and currency. 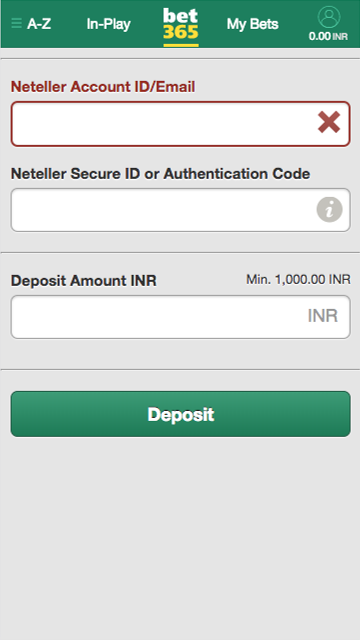 In this guide we'll use Neteller and INR. 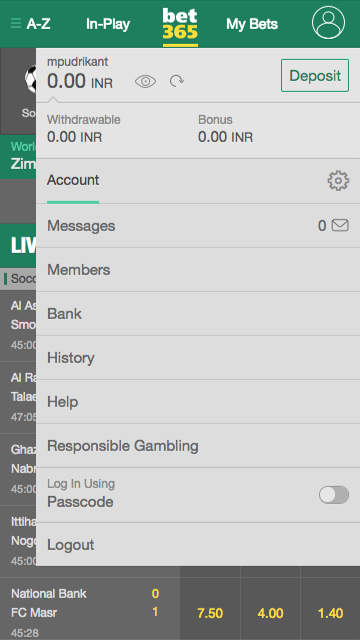 Congratulations, you've successfully deposited money to Bet365 using Neteller. Betrally India offers Local Bank transfer for India players exclusively. It is a simple, fast and secure process, funding your account takes less than 30 minutes. In order to be able to Deposit on Betrally India you need to have already created a players account. First thing first, log in to your Betrally India players account and follow the below steps. Click on the “Deposit” button. NB! Always check your bank details on site before depositing! Go to your Online Banking (your personal bank site) and perform a transfer using IMPS to the Betrally India account details for the amount you wish to Deposit. Min. deposit is 500 INR and Maximum 300 000 INR per transaction. You will receive a “Thank you” message and in less than 30 minutes the amount will be in your Betrally India account. Here you see information on the upcoming IPL 2017 game between the Gujarat Lions and Kolkata Knight Riders. In addition you see two columns next to this information which say ‘1.72’ and ‘2.10’ respectively. These are the betting odds for this match and each team. 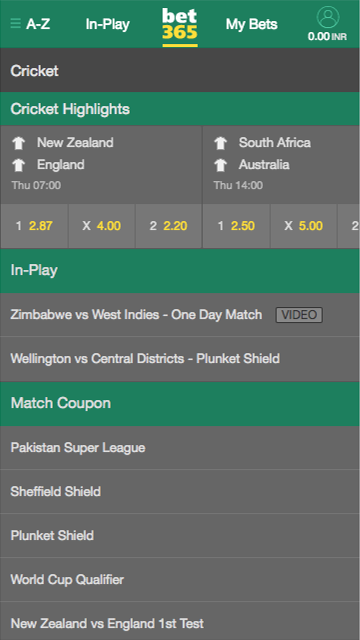 The odds under the ‘1’ tab is the odds you get if you bet on the home team to win, in this case, Gujarat Lions. ‘2’ is thus the odds you get when you bet on the away team, Kolkata Knight Riders. When we talk about the odds you get, this means how much you stand to win if the bet you place wins. 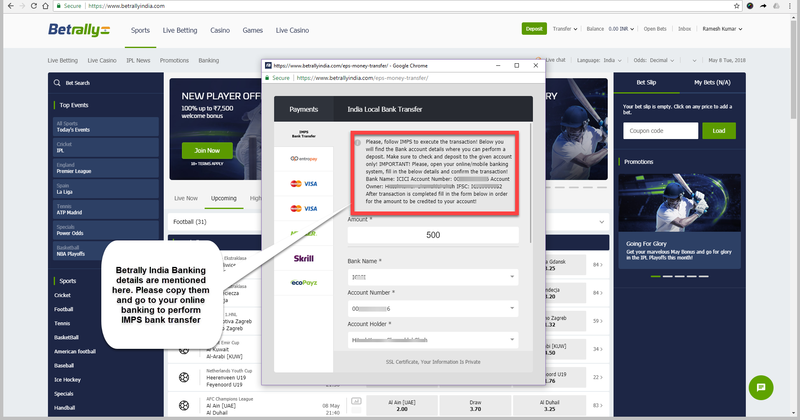 For instance, if you place a $10 bet on Gujarat Lions to beat Kolkata Knight Riders, at 1.72 odds, you will get back $17.20 if they win, where $10 is your original bet and $7.20 is your winnings. If you bet $10 on Kolkata Knight Riders with 2.10 odds to win, and they win, you will get back $21.00, $10 which is your original bet and $11.00 which is your winnings. If you should lose either of the bets, you simply lose the $10 that you paid for the bet, regardless of the odds you placed it at. 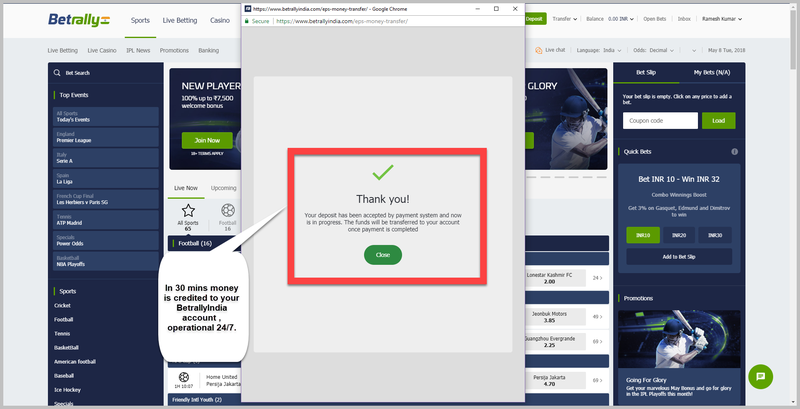 When you're ready to bet, click on the wager you would like to make, then fill in the amount you wish to bet on that outcome and click confirm. Click on the menu icon in the top left corner of your screen, and scroll down untill you find 'Cricket'. Now you'll see several cricket matches. Choose the one you want to bet on. 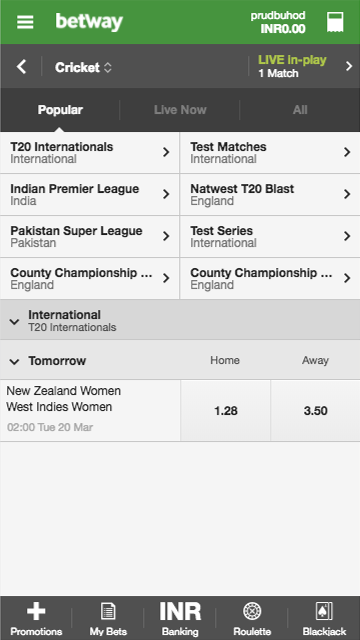 When you've found the match you want to be on, click on bet you want to make. When you've picked the bet you want to make, choose your stake and click on 'Place Bet'. Congratulations! You've successfully placed your first bet at Bet365. 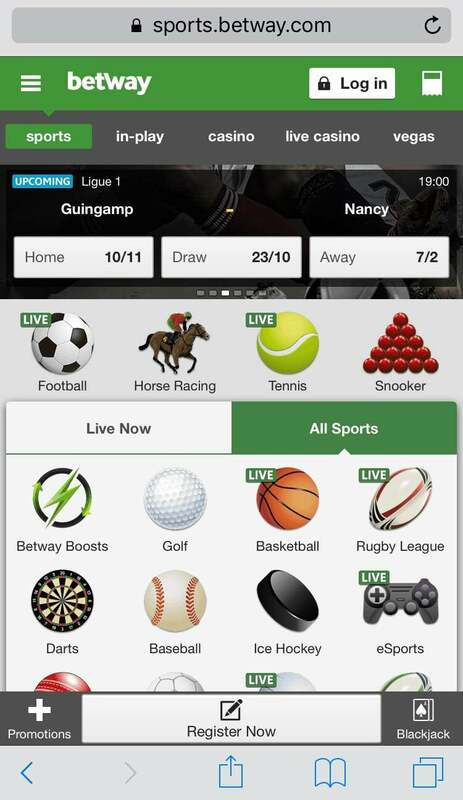 When you've picked the bet you want to make, a yellow number will appear in the top right corner of your screen. Click on it. Fill in the amount you want to bet. Click on 'Place Bet' in the bottom right corner. Congratulations! You've placed your first bet at Betway.